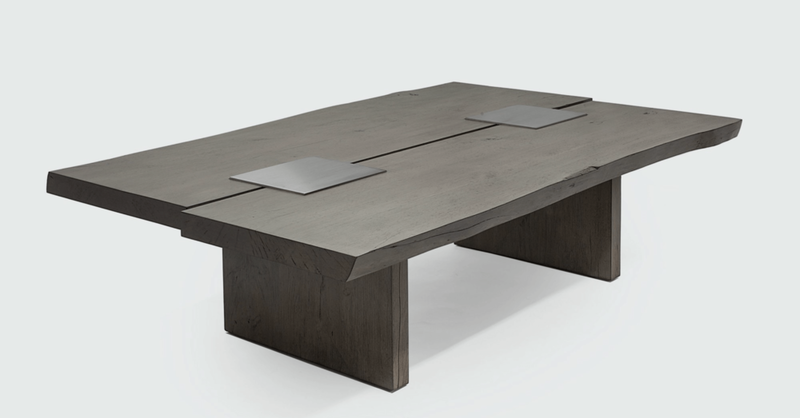 Rustic yet refined the Berliner coffee table is handcrafted with two uneven Maple slabs. It also features two stainless steel inserts for balanced contrast. Top rests on two solid Maple pedestals. 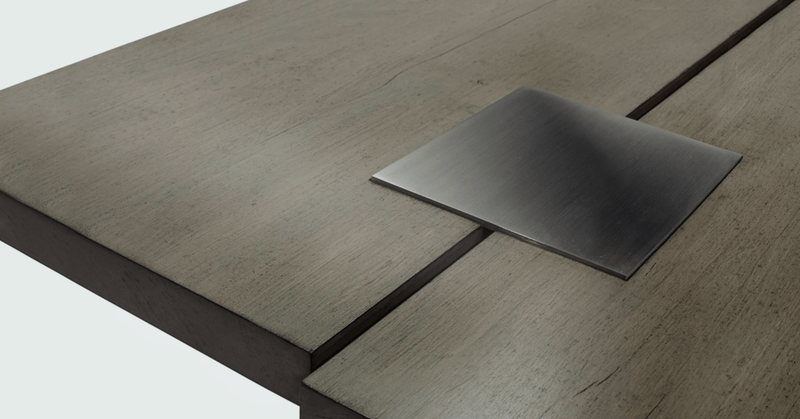 Table is hand-finished in a light gray stain.